Penguin Search of The Week! Moving to a NEW Clubpenguin Website! Want some FREE 500 CP Coins? Clubpenguin NEW Better Igloos Catalog Dec-January 2010! Have Been Selected as a NEW Author! How many viewers are here? Club Penguin didn’t start after 2005. There was a game called Penguin Chat 3 at Rocketsnail.com and yes, that’s what they called Rsnail, that was played back in 2000! It was an old game and similer to Club Penguin except there was only one place you could go to, the Town. There wasn’t a Cove, Snow Forts, Dojo, or your own home or anything else, but the Town (which included the Gift Shop, Night Club and Coffee Shop). In fact, the Town looked very similar to how it looks now, but there was more chairs and tables outside the Coffee Shop, and a few other small details. It also snowed in the Town! Ever wanted why penguins? Ever thought, “Why won’t a Elephant, Flamingo, or a duck?” Well it started with a comic! 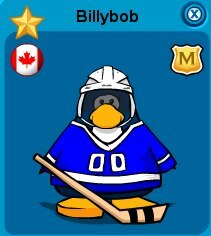 Did you know, Billybob wasn’t the one who thought of the game, Clubpenguin? Well back in 1999 (Close that Penguin Chat came out) Rsnail aka Rocketsnail had a comic stript of a penguin at a HUGE Ice Berg and slipped on a banana peal. So that’s how it become penguins! There were no coins or way of earning coins. And if you tried to walk to the left of the town, you’d go to an area of nothing but snow (and a few construction decorations), if you went to the left of that, you’d up in another bigger area of snow with a pretty, blue sky. Also the tool bar, there was the “Send” button, sitting button, Snow Ball button, Jokes button, and emotion button! See? Different from the Club Penguin’s chat bar. And different icons. Also if you would go to the Gift Shop, it will just take you to Rocketsnail.com for reall items like key chains that you buy with real money. Which of been really rare to have! But didn’t know about Clubpenguin since 2008. 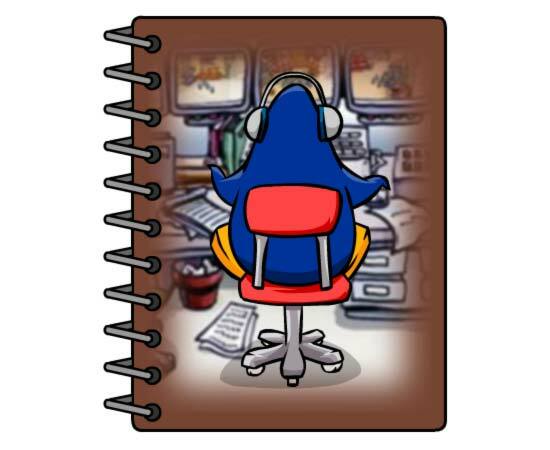 One day during the middle/start of Summer in 2005, the Rocket Snail team announced they were creating something called Club Penguin, which was basically a much better version of Penguin Chat. When I went to the site clubpenguin.com, all that was on its site was the logo and it said it was Under Construction. Then they closed Penguin Chat a few days later. But the other minigames on rsnail.com: Mancala, Ballistic Biscuit (which is Hydrohopper but with a human rather than a penguin, and different obstacles like frogs), and a few other games on rsnail.com. If you go to Rocketsnail or Archive and click any one thats before October 2005, you can probaby play the games still! It took a while for the game, Clubpenguin to come out, it has been like, 1/2 monthes! But guess what, Clubpenguin came out in October 2005! Grand opening on Clubpenguin, which was Beta Testing! 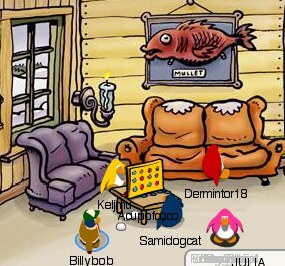 (Where penguins test the game before launching to see if there are any problems or bugs) This is where you can get a Beta hat and meet the moderators! Such as Billybob, Gizmo, and Rsnail! You could basically try out the new Club Penguin beforehand. Beta testers got one month of free Club Penguin membership, they got to keep their party hat from the very first Club Penguin party ever, and a certain amount of coins. But beta testing didn’t last that long. I heard alot that it lasted only for a few hours and some people say it lasted for 2 days and some people say it lasted for a week. But I really dont know. (lol) The betas are people who are the first people that been on Clubpenguin first when it was the grand opening! You may see some betas still go around on Clubpenguin still, on this very day! The beta hat is Pink and Yellow and shaped as a party hat. The site was very differnt from now since Disney bought Clubpenguin for alot of money in August 1st 2007! Check out what the site looked like back in 2005-2006. See the difference? Well Clubpenguin has really changed since Disney bought Clubpenguin. Check out the catalogs and see the difference from them. Beta Testing was back in 2005 in October 25th! The day of Halloween! Beta testers are people find any bugs, glitches, and problems. So check it out what it was like back in 2005 when there was testing! Here is what the Beta Tester Map looks like! Theres hardly nothing there, huh? As you can see, there are now more rooms in the Island. Disney bought clubpenguin for $350 million !!!! But some reason, this Map kinda looked weird and all the destinations are to close apart! The Map stays the same, but theres the Dojo! Back in Beta testing, the Clubpenguin Team tried to make puffles, something different, something not usuall. Their first try looked like this! Different huh? It’s way different from the Puffles we get the the Pet Shop right this very day! Club Penguin is an MMORPG involving a virtual world containing a range of online games and activities, developed by Club Penguin Entertainment (formerly New Horizon Interactive). 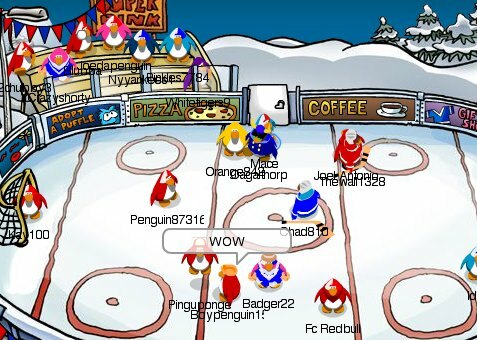 Using cartoon penguins as avatars, players waddle around, chat, play minigames and participate in other activities with one another in a snow-covered virtual world. After beta-testing, Club Penguin was made available to the general public on October 24, 2005 and has since expanded into a large online community — growing to the extent that by late 2007, it was claimed that Club Penguin had over 12 million user accounts. 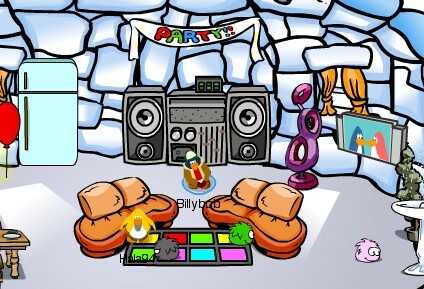 While free memberships are available, revenue is predominantly raised through paid memberships which allow players to access a range of additional features, (such as the ability to purchase virtual clothing, furniture and “pets”, also called puffles, for their penguins through the use of in-game currency). The success of Club Penguin led to New Horizon being purchased by The Walt Disney Company in August 2007 for the sum of $350 million, with an additional $350 million in bonuses should specific targets be met by 2009. The game is designed for children between the ages of 6 and 14 years old. Thus a major focus of the developers has been on child safety, with a number of features introduced to the game to facilitate this — including offering an “Ultimate Safe Chat” mode, whereby users select their comments from a menu; filtering that prevents swearing and the revelation of personal information; and moderators (along with veteran players) who police the game. Nevertheless, the game has had a degree of criticism, including claims that it teaches consumerism and that some players “cheat” to improve their status. Development on Club Penguin began in 2003 when Lance Priebe and Lane Merrifield, employees at New Horizon Productions (which became New Horizon Interactive in 2005) in Kelowna, British Columbia, saw a need for “social networking for kids”. As Merrifield later described the situation, they decided to build Club Penguin when they were unsuccessful in finding “something that had some social components but was safe, and not just marketed as safe” for their own children. Merrifield and Priebe approached their employer, David Krysko, with the idea of creating a spinoff company to develop the new product. Prior to starting work on Club Penguin, Lance Priebe had been developing Flash web-based games in his spare time. As part of Rocketsnail Games, Priebe released Experimental Penguins in 2000, which featured gameplay similar to that which was incorporated into Club Penguin. 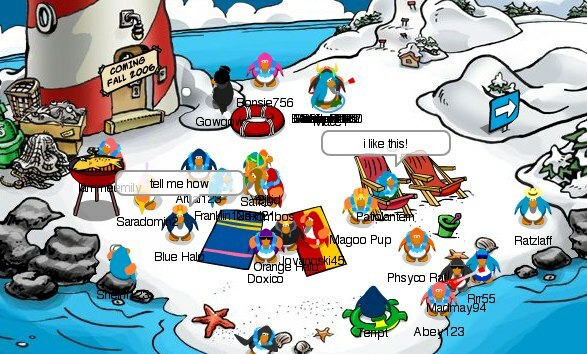 Although Experimental Penguins went off line in 2001, it was used as the inspiration for Penguin Chat, which was released shortly after Experimental Penguin’s removal. Thus, when Priebe, Merrifield and Krysko decided to go ahead with Club Penguin in 2003, they had Penguin Chat to inform part of the design process. After two years of testing and development, the first version of Club Penguin went live on October 24, 2005. Growth was rapid. Club Penguin started with 15,000 users, and by March that number had reached 1.4 million — a figure which almost doubled by September, when it hit 2.6 million. By the time Club Penguin was two years old, it had reached 3.9 million users. At the point when they were purchased by Disney, Club Penguin had 12 million accounts, of which 700,000 were paid subscribers, and were generating $40 million in annual revenue. Although the owners had turned down lucrative advertising offers and venture capital investments in the past, in August 2007 they agreed to sell the company (both Club Penguin and the parent company) for the sum of $350 million. In addition, the owners were promised bonuses of up to $350 million if they were able to meet growth targets by 2009. In making the sale, Merrifield has stated that their main focus during negotiations was philosophical, and that the intent was to provide themselves with the needed infrastructure in order to continue to grow. On March 11, 2008 Club Penguin released the Club Penguin Improvement Project (CPIP). This project allowed players to be part of the testing of new servers put into use in Club Penguin on April 14, 2008. Players had a “clone” of their penguin made, to test these new servers for bugs and glitches. The testing was ended on April 4, 2008. In April 2008, Club Penguin opened its first international office in the UK for local support, and Disney announced in June, 2008, plans to open an Australian office in August of that year.. They opened the Australian office in August 08 and opened a Brazilian office in November 08. Prior to being purchased by Disney, Club Penguin was almost entirely dependent on membership fees to produce a revenue stream. Nevertheless, the vast majority of users (90% according to The Washington Post) chose not to pay, instead taking advantage of the free play on offer. Those who choose to pay do so because full (paid) membership is required to access all of the services, such as the ability to purchase virtual clothes for the penguins and buy decorations for igloos; and because peer pressure has created a “caste system” separating paid from unpaid members. Advertising, both in-game and on-site, have not been incorporated into the system, although some competitors have chosen to employ it: for example Whyville, which uses corporate sponsorship, and Neopets, which incorporates product placements. 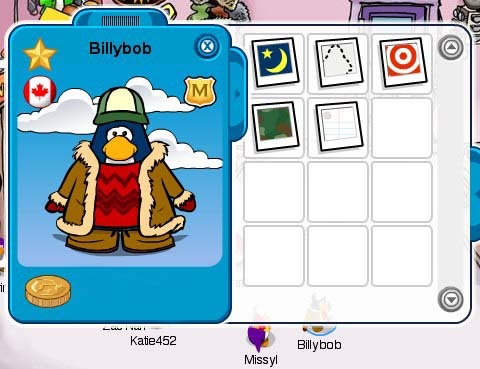 An alternative revenue stream has come through the development of an online merchandise shop, which opened on the Club Penguin website in August 2006, selling stuffed Puffles and T-shirts. Key chains, gift cards, and more shirts were added on November 7, 2006. October 2008 saw the release of a line of plush toys based on characters from Club Penguin, which were made available online (both through the Club Penguin store and Disney’s online store), and in retail outlets. As with one of its major rivals, Webkinz, Club Penguin has traditionally relied almost entirely on word-of-mouth advertising to increase the membership. Preventing the use of inappropriate usernames. Providing an “Ultimate Safe Chat” mode, which limits players to selecting phrases from a list. Using an automatic filter during “Standard Safe Chat” (which allows users to generate their own messages). In particular, profanity is blocked, even when users employ “creative” methods to insert it into sentences. In addition, even some seemingly innocuous terms are filtered, such as “mom”, and both email addresses and telephone numbers are blocked. Employing paid moderators. Out of 100 staff employed in the company in May 2007, Merrifield estimated that approximately 70 staff were dedicated to policing the game. Promoting some veteran users to “secret agent” status, and encouraging them to report inappropriate behavior. Each game server offers a particular type of chat — the majority allowing either chat mode, but some servers allow only the “Ultimate Safe Chat” mode. When using “Standard Safe Chat”, all comments made by users are filtered. When a comment is blocked, the user who made the comment sees it, but other users are unaware that it was made — suggesting to the “speaker” that they are being ignored, rather than encouraging them to try and find a way around the restriction. Beyond these primary measures, systems are in place to limit the amount of time spent online, and the site does not feature any advertisements, for, as described by Merrifield, “within two or three clicks, a kid could be on a gambling site or an adult dating site”. Nevertheless, after Club Penguin was purchased by Disney, concerns were raised that this state of affairs may change, especially in regard to potential spin-off products — although Disney has continued to insist that it believes advertising to be “inappropriate” for a young audience. Players may pay to become subscribed members and doing so grants them additional in-game benefits. Players who have paid membership may buy clothing, wigs and furniture, own up to fourteen Puffles (the virtual pets of Club Penguin), enjoy early access to new parts of the game, buy furniture for their puffles, have access to all puffle breeds, and open up their igloos. 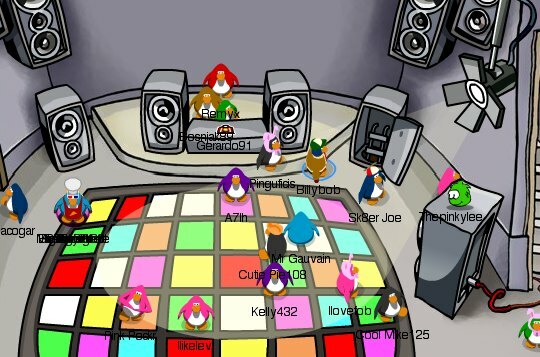 Members also have access to Members-only parties hosted by Club Penguin. Club Penguin provides a “non-membership” option. Although such play is free, it does not include all of the benefits of being a member. Non-members may still purchase different colors for their penguins, buy player-card backgrounds, travel to any place in the Club Penguin world (except during members-only parties), and play games. Non-members may also receive and use items given out at parties that are held monthly for all players. However, non-members are restricted to only two red or blue puffles, and no member-only puffles may be bought, (although if a former member once owned puffles, they may be kept). Non-members cannot purchase clothes, furniture, wigs, hats, or igloo upgrades. During the beta stages of Club Penguin’s development, anyone could sign up to be a beta tester. Beta testers received special benefits upon the official release of Club Penguin, including a month of paid membership, coins and a pink and yellow party hat. It turns out that Find Four is more popular than we thought, so we went ahead and added three more tables in the lower part of the lodge so that more people can play. In other news: More and more rumors continue to spread about the upcoming “underground!” All I can say is that it won’t be open for another few weeks. We are proud to announce our newest game in Club Penguin… Find Four! This has already become on of our favorite games and we hope you like it too! If that wasn’t enough exciting news, we decided to build a whole new room for the game above the ski lodge called “the attic.” So head up there to play and have some fun! You never know, you might just meet some new buddies. Don’t forget to let us know what you think. In other news: We’re hard at work exploring the caves under Club Penguin. We can’t give any more details, but it might have something to do with that door that is in the “boiler room” picture from the last news post. 🙂 We will give more info next week! Its been a few days since our last update and we apologize for the delay, but we’ve been hard at work on all the cool new stuff that’s coming up! Here is a sneak peek at a new area we’re launching next month. Some of our older penguins might recall the “boiler room” from a while ago. Well, its been completely redesigned and we’ve got some fun plans for it. You may have already noticed a door that’s been added. We’ll keep that part secret until we launch it next month. We’ve got a cool event planned around the launch of these new rooms so you’ll have to stay tuned to the newspaper as well be announcing it in a few weeks. In other news: The new multiplayer game is almost finished and should be launched sometime next week. First of all, thank you all for your patience yesterday. We had some server issues, but everything has been upgraded and we should be running well now. We have also decided to make some more upgrades next week to ensure we don’t see more slowdowns like that in the future. Also, the buddy indicator has been launched! Now when you are choosing a server to log in to, you can tell which one your buddies are on. We hope to add even more features to this in the future, but for now we hope you enjoy it. We also hope you are enjoying the Easter egg hunt! So far we’re seeing a lot of bunny ears so we assume you are having fun. If you notice someone having trouble finding the eggs, please help them. Some things may be easier for one person, but harder for someone else and we want everyone to get the bunny ears! First off, a big thank you to all of you who are still giving tours to new penguins. We continue to get lots of “Thank You” notes from happy penguins who appreciated the tours. Keep up the good work! 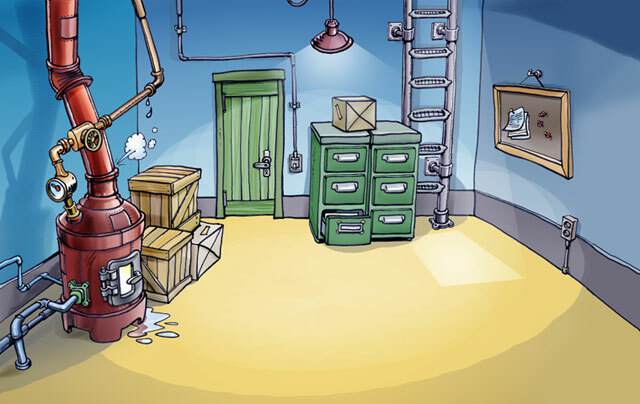 If you know your way around Club Penguin are wanting to give a tour, just go into a room and say “Who wants a Tour?” You will be surprised at all the penguins who would love your help! Also, some of you may have noticed a bit of a slow-down lately. We’ve recently found out it is because we need to upgrade a part of our servers. That upgrade will be happening on Wednesday and Thursday, so if all goes well, You should notice a speed increase right away. Thanks for your patience as we continue to grow! In other news: The server “buddy indicator” is in the final stages, but we wanted to upgrade the servers before we launched it to make sure it didn’t slow anything down. We hope to have it all up and running in the next few weeks. You spoke, and we listened! For those of you from the UK who have been waiting patiently for SMS, we haven’t forgotten about you! Today we launched our newest way to become a member of Club Penguin. SMS allows you to pay for membership with your cell phone. The service is currently available in the UK only, but we’ll be adding other countries as soon as they become available. In other news: We launched the new clothing catalog today and so far we have seen a lot of good looking penguins! Let us know what you think about the new stuff! For those of you that noticed, Club Penguin was down for a few hours today. We tried to update one of our servers and it caused some problems. We worked hard and we found and fixed the problem to keep it from happening again. We apologize to all you penguins that weren’t able to log in. In other news: The new newspaper came out today and is filled with all the cool stuff happening in April so check it out! Also, we’re putting the finishing touches on a way of looking at old newspapers and it should be launched soon. Unfortunately, these game bugs look like their taking longer than we thought. Our team is going to work 24 hours a day until this game is launched. We don’t like delays any more than you do, but we feel like if we launch the game with bugs, it will lower the quality of Club Penguin and no one wants to see that happen. Please help us by spreading the news and encouraging other players to be patient. Once again, the whole staff of Club Penguin apologizes, and we’re going to work non-stop until its launched. In the mean time, we’re going to launch a new secret room we had planned as a surprise to make up for the delay. The secret is revealed! In the picture above you can see the entrance to the Member Party! Click on the speaker to the right of the DJ and you’re there! Have fun and I hope to see you all there! If you’re not a member yet, don’t worry, next months beach party will be open to everyone and will include a cool free item! Today we were able to finish up the last of the major server upgrades. Some of you may have noticed some issues around 6-8am Pacific Time (2-4pm in Europe). We apologize if you had some difficulties playing during that time, but the game should run quite a bit faster for most penguins after this. We are sure its going to be worth it. Also, there are more hints than ever about “The Underground” in this weeks paper. The finishing touches are being added right now and it will be open to everyone on Monday! Thanks again for your patience, we’ve worked hard on this cool new area of Club Penguin and we’re sure you’re gonna love it! Today we launched some cool new stuff for your igloo as well as a brand new feature in Club Penguin… Post Cards! A lot of penguins have already begun using them to make new friends and say hi to old ones. Its also a great way to challenge someone to your favorite game! If you’d like a different one, don’t worry, we’ll be adding more. Better yet, give us some ideas of what you’d like us to add. Igloo music was also launched today which will make those igloo parties even better. We’ve been working on it for a while now so its great to finally see all you penguins enjoying it. Give a big thanks to rsnail for getting that one rolling! In other news: We were able to get some of the server upgrades done this week, and we decided to do even more which should be completed by early next week. After that’s done, you should all notice a good speed increase to Club Penguin. Thanks for your patience! In other news: We’ve been noticing the world slowing down a bit lately which means we need to add some faster servers to keep it all running as fast as possible. We have ordered them and you should see things speed up again next week once their up and running. Thanks for your patience with the slowdowns, we’re working as fast as possible to get things back up to speed. We’ll we’ve been very busy the last few days working on some very cool stuff. As you can see, the new catalog was launched today with a brand new feature open to everyone… Player Card Backgrounds! We will continue to add more backgrounds in the future, but for now there should be something for everyone. Some of you may have also noticed that we brought back a few items from the past. We will continue to add new times and bring back old ones every month so keep checking it. Speaking of new items, because of all the construction going on in the caves, we hid a fun secret item that some of you might remember from the past. Enjoy! In other news: We’ve got some cool community stuff coming up this month like the post cards, new igloo party supplies (including a brand new igloo party feature many of you have been asking for), new igloos, new furniture, new pet accessories, a brand new game, oh yea and little something called the underground that keeps getting better everyday! We’ll keep you posted on when that will be launching later this month. P.S. A big thank you to those of you still giving tours. We keep getting reports from happy penguins who are going on tours and learning their way around Club Penguin. Keep up the good work! This week we will be launching some upgrades to one of the coolest parts of Club Penguin… The Agency. I can’t say too much or I’ll get in trouble, but Agents should check out the HQ later this week to see what’s been added, and get some hints about new stuff that will be coming in the future. Please don’t ask for more information because I am not allowed to say any more than that. If you are not an agent yet, you can take the quiz by clicking on the “M” in the top right corner of the screen and then look for and press the secret button. Remember, your penguin must be at least 30 days old to apply, so if you’re brand new, don’t worry, you won’t miss out, just join when you can. In other news: We’re putting the finishing touches on next months AWESOME party and all the furniture and clothing to go with it so saddle up because you won’t want to miss out. Check out Thursdays paper for more information. And yes, there will be new free items for everyone at the party. For the last few weeks, not only have we been working hard on the new free party items, but we have also been working hard on squashing some bugs. Ballistic Biscuit- Sometimes if a player ended the game early, the loading screen would just sit there. Secret Agent Bug – Some people were not getting their spy phones, please try again, it should be fixed now. Slow Lost Password / Activation Emails – This should be faster now that we upgraded the server, we’re still working to keep making it easier and faster. Igloo Upgrades – There were some issues with igloo upgrades and furniture that should be fixed now. Penguin Stuck in Igloo – This one is tricky, but we think we might have found a fix that should remove anyone stuck in your igloo for more than an hour. Please let us know if you still have the same penguins stuck in your igloo for days so we can keep working on it. In other news: We hope you all enjoy the new free party items launched today! We’ve got lots of other cool stuff we’re working on like next months ALL NEW party and of course we’re always working on new games, new rooms, and new features for you all to enjoy! We just wanted to keep you up to date on a bug we had yesterday. It turns out our database had a hiccup which was keeping people from buying items from the catalog for about 4 hours yesterday. This bug made it look like you were buying something and the coins were removed, but then when you logged back in, the items weren’t there and the coins were put back. We figured out what was wrong and fixed it as fast as we could. There have been some rumors out there that this was a virus or a hack. I can assure you it was not, it was simply a database setting that needed to be changed. We apologize to all of you who were affected by this bug and we thank you for your patience. We know it was frustrating and we have hopefully fixed it so it shouldn’t happen again. In other news: We hope you’re all enjoying the party and we can’t wait to launch this weeks new free party items. They will be released later in the week. 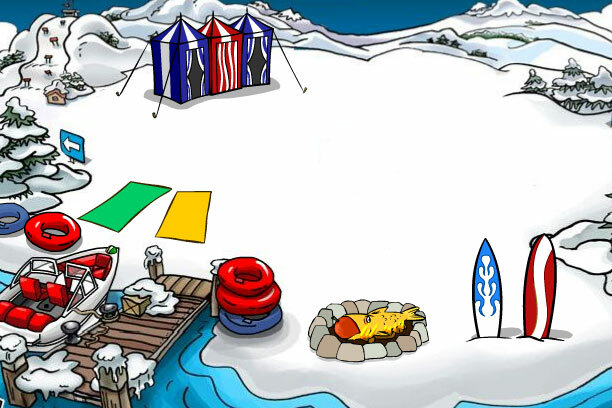 As you can see, Club Penguin has been transformed into the biggest beach party ever! Penguins everywhere are doing the hula, swimming in the Night Club, and wrestling with a giant octopus in the Dojo. We had a lot of fun putting this party together and we hope everyone has a blast! In other news: There are two free items out right now, but there will be more added next week as the party continues! Sorry, I can’t tell you what they are, or when they’ll be launched, but I’m sure you’re gonna love them! Until then… Waddle AND Party On! It just so happens that today is quickly becoming one of the busiest days ever in Club Penguin history! The good news is that there are even more penguins to make friends with. The bad news is that the servers are pretty full. Look for the server with the least people in it. The fewer people, the faster it runs. We hope this helps and thank you all for your patience, the new servers will be online as quickly as possible. We decided to give you all a sneak peek of just one of the rooms that is being completely redecorated for the party next weekend. Don’t worry, this is not the new beach, that is still coming, this is what the docks will look like. Many of you have been asking “where is the party?” Like all of our biggest parties, it will be held throughout the entire map! Lots of the areas will be decorated for the party, so you can party where ever you and your friends want to! Thanks again to those of you who are still giving Club Penguin tours to the new players, we totally appreciate it and it is a great way to help out. Don’t forget, if you want to give a tour, just go into a room and shout “Who wants a TOUR?” Most of the time, new penguins will be happy to follow you around and learn more. In other news: Rsnail and the team are working hard on fixing some of those pesky bugs that have been driving all of us a little nutty. The first priority is the “people in my igloo” bug. It has been a tough one to squash, but we won’t rest until its done. 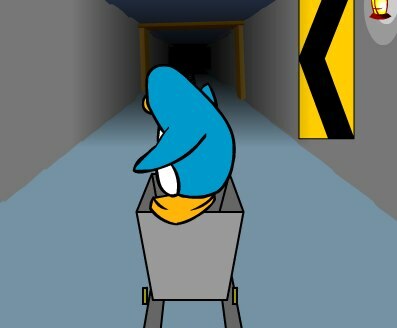 We are happy to announce that the mine game, “Cart Surfing,” has been launched. It is a fun, fast-paced, action game with lots of fun features. I hope you all love it as much as we do. Thanks again for your patience, hopefully you feel it was worth the wait. Let us know what you think of Club Penguin’s newest game! Today we launched one of the coolest new catalogs ever! We’ve had many of you requesting these items for a long time so as always, you spoke and we listened! We hope you get all your outfit combinations figured out for the big summer party! If you’re not a member yet, don’t worry, there will be a free summer item at the party for everyone! In other news: The new mine game is coming along well. We have worked non-stop this week rebuilding it from the ground up to make it not only work better, but be even more fun. As stated in the newspaper, we plan to launch it early next week. Thanks again for your patience, it will be like no other game that Club Penguin has ever seen, and we’re sure you’re going to love it! I just wanted to let you know that later today we will be making another big leap into our new servers. The sad thing is that we will need to shut down Club Penguin for a few hours starting at 10pm pacific time. (see other time zones below) If you try to log on during that time, you will see a message asking you to try again later. We plan to only be down for a couple of hours, maybe sooner. We apologize to anyone who is affected by this and we thank you all for your patience as we work hard to make Club Penguin better for everyone! Billybob here, back and better than ever. Sorry for not posing the last week, but I finally listened to all your advise and took some time off for a little rest and relaxation. I apologize for not being able to update the news, but now things will be back to normal. We’ve got so much cool stuff on the go, I don’t know where to begin to talk about it! 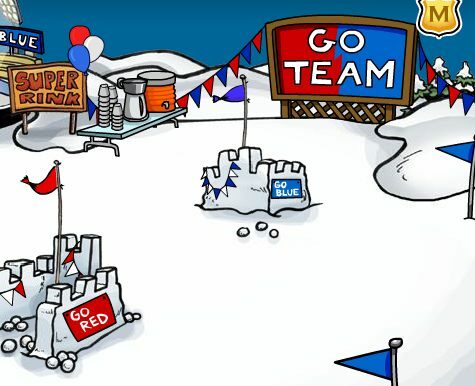 As always, there is a lot I can’t talk about, but let me just say that if any of you are into sports, August is going to be a great month, not only because of Club Penguins first ever sports themed party, but because Club Penguins next multiplayer game is something we’ve all been waiting for. I can’t say anything else, other than the fact that ice has never been so much fun! We’ve got more updates I’ll talk about soon including our continuing work on upgrading the servers and speeding up Club Penguin and other new features, parties, games, rooms, and MORE!! I can’t say a lot about the scavenger hunt, but I will tell you what I can. It will begin next Friday, the 21st, and will be available for everyone to play. Just like the Easter egg hunt, it will only be happening for a limited time. There will be a prize at the end that everyone who completes it will win. There is a clue in this weeks paper. I am sorry, but I can’t reveal any more than that right now. Have fun at the party this weekend, we hope you all have a great time! We had to upgrade a server yesterday which caused some issues we didn’t plan on. We apologize to anyone who wasn’t able to log in during that time, but hopefully everyone is enjoying the little bit of speed boost. We’ll be upgrading almost all of our servers over the next few weeks to make the game even faster! It may cause some issues at times, but hopefully you feel its worth it to make the game even better. In other news: I’ll be posting some more info tomorrow on the upcoming scavenger hunt! It’s going be cool. For those of you who were at the Easter party, you know what I mean! The wild west is about to break loose at Club Penguin and we thought we’d give you a sneak peek at some of the new items in the upcoming clothing catalog. The theme for July is a western one which means cool western clothing, furniture, and of course a party! We’re also going to be updating some of the games this month and adding some new levels to some of the old favorites. As for new games, we’re always working hard on lots of new games, and we plan to launch an awesome multiplayer game in August that many of you have been asking for! I’m sorry, but I can’t give any more information on that until next month, so please don’t ask. So saddle up and invite your buddies to the wild western fun happening all this month in Club Penguin! We just found out that one of our servers was having some issues with “activation codes” and “password requests” for a few hours today. We apologize to those of you who tried to set up a new account and didn’t get an activation code or if you requested a password and it didn’t come through. The problem is fixed now and so if your activation code wasn’t working, try clicking on the link in the email again and it should work. If you requested a new password, please just send a new request and you will get a new email. Thanks again for your patience! I just wanted to let you know that the new online store is open for you to check out! Just make sure you “reload” or “refresh” the Club Penguin home page in order to see it. Since we’re just getting started the supplies are limited, so if you want something, I would suggest ordering it fairly quickly. We’re working as fast as we can to get more. Please let us know what else you would like to see added in the future. We’ve already got some more stuff we’re working on, but we’re always wanting to hear all of your great ideas! In other news: I’m sure you’re all as excited as we are about the new catalog that launches tomorrow. There were some hints in the newspaper today, which is why I didn’t post any here in the blog. It’s gonna be really cool! Sorry for the silence the last few days, but I couldn’t keep it secret any longer! We’ve been working hard on lots of new stuff for September, but this is definitely one of the coolest! Puffles and other great stuff will be available on the website soon! I can’t say exactly when, but hopefully this week! There will be an official announcement with all the details in the near future, but like I said, I couldn’t keep it secret any longer. 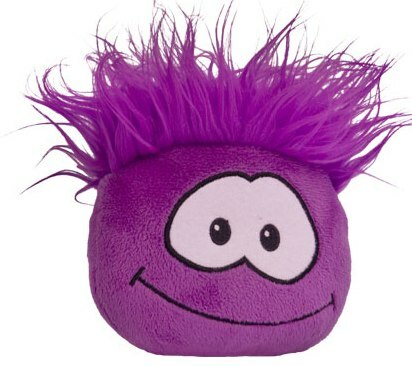 As many of you know, the Purple Puffle is available in the pet shop tomorrow! I know a lot of you have been waiting for a long time, and I think the wait is worth it! Hmm… wouldn’t it be cool if you could own a puffle in real life? Anyway, we hope you all enjoy this new addition to the Puffle family. Maybe you could throw a “Welcome Home” party in your igloo and have lots of fun showing off all of its new moves. I know that the sports theme for August is still in full gear and we hope you all enjoyed the party, but I wanted to give you a couple of sneak peeks into what we’re working on for September. September is going to be a big month for Club Penguin! I can’t give you many details right now, but there will be new rooms, a brand new game, new igloos, new catalogs, a new way to decorate your penguin, and more! Our team is also working on some cool new features for Club Penguin that a lot of you have been requesting (one of them involving your puffles) and a brand new log-in screen that will make signing in and choosing a server much quicker and easier. I can’t give many more details right now because its not even September yet, but I’ll tell you more as soon as I can. I just wanted to give all of you a quick update on the hotmail situation. After many long days of working with them and doing everything they asked, they finally admitted that the problem is with Hotmail and not us. It is a total bummer because we are not able to just fix it ourselves but we just have to wait for them to fix it. We are emailing them many times a day to try and keep them working on it. From what we can tell, it is getting better, and some emails are getting through, but we won’t stop until all of them are fixed! In the mean time, I would recommend using a different email address like “Gmail” if you need to contact us. We apologize to those of you who are affected by this and we will work as hard as we can to get them to fix it. All weekend we’ve been getting requests to extend the party and when you ask, we listen! So we decided to extend the sports party until next weekend. I know some of you are already wondering, “so does that mean another free item?” Of course it does! Later this week we will begin handing it out, but I can’t tell you right now what it is. I will say, we’ve been getting a lot of requests for this item too! Club Penguin was down for a few hours today when one of our new servers had some problems. We are sorry to anyone who was trying to log on during this time. We think we have it all fixed now and hopefully it shouldn’t happen again. Thanks to all of you who let us know when it happened, we were able to fix it a lot faster because of your help! Stay tuned for more party information coming tomorrow! We just wanted to say we know about the hockey goal bug that is hurting the blue team. We’re working hard on it and we will get it fixed as soon as we can. Thanks for your patience and sorry for the confusion. Other than that, we hope you’re enjoying the party! I took this screenshot to give you all a sneak peek of just a few of the decorations for tomorrows party. We’ve been doing some testing and let me just say… ITS GONNA ROCK! Get your red or blue outfits ready and get ready to party! As always, there will be some free items for everyone, and the new hockey game will be ready! I hope to see you all there! In other news, we’re still working with Microsoft on “MSN” and “Hotmail” accounts. Microsoft is taking a long time on their end and its been tough, but we hope to have it working as soon as possible. If you need help, please email us using a different email account and we’ll be able to help you. We apologize again to anyone who’s having trouble. If we could do more, we would, but we have to wait on Microsoft for this one. Microsoft made a change to their system that makes us unable to send email to hotmail accounts. We are working as fast as possible with Microsoft to fix this problem. We apologize to anyone that is affected by this. I wanted to give you all a sneak peek at some stuff in clothing catalog that will be launched tomorrow. I’m a big sports fan, so this is one of my favorite catalogs yet. The cool thing is that we’ve got more new items than we’ve ever had before! On top of all of that, we’re almost done upgrading all the servers (yea!). There are a few more changes that we are doing that will keep speeding things up. But most of the tough work is done. That also means more time for new games and new features! Also, not to sound too cheesy, but we can add a lot of cool stuff to Club Penguin, but you all are what make it great! Thanks for playing, and for always working to keep Club Penguin fun and safe! wow so thts wat like the old cp was like, cool. SWEEEEEEEEEEEEET!!!!!!!!. I never knew that:). Nice site man. wow! i few years ago they didnt evenhave puffles yet?! wow thats amazing! Holy! man your awesome! can not believe you did all of that! you are TOTALLY awesome! Dude you need to update your tracker.You need to make a lot of changes. Billybob it is already January 2 2011. I hope you got my tip. Club Penguin Secrets, Glitches, Tips and more…..